« You Are Sacred. Value Yourself. Magic is Real. It’s Around You All the Time. Today we ask you to look at the magical nature of your reality. Many of you think that magic is limited to storybooks and movies. But this is not so. Your world is as magical as anything in a movie. It is just that you do not perceive it as such. People are always casting spells, in your reality. Advertisements are spells. Billboards are spells. They are spells that hypnotize people into wanting things that they do not really need. Most of you understand that if you saw a celebrity without the clothes and hair and make-up, doing something mundane like going to the bathroom — the “glamour” would pop, and you would see that he is no different from you. Al stories, especially in mass media, are spells. Books and films and TV shows are spells. 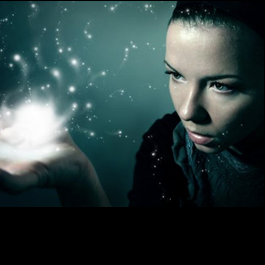 It is possible to create much that is positive through these spells. Consider the great advances in human tolerance promoted by TV shows over the decades. A simple children’s show, like “Sesame Street,” can be a powerful spell for positive change, by teaching children to embrace people of different races. Words are spells. This is the basis of all wizardry — understanding the power of words. Anything you see in print has power. What you read on the internet has power. Those of you who write blogs — understand that you are creating spells. Words have power. There is a dimension of deep sacredness that many modern humans have lost. This is of course the power and appeal of the world religions — in that they connect people to this dimension of sacredness. But the world religions are steeped in old magic, and to the degree that their texts and clerics promote intolerance, and a belief that the divine is wrathful and judgmental, this is very damaging for humanity. “By their fruits shall you know them” — this is a Biblical quote, and it is true. To the degree that any religious practice promotes peace, well-being and harmony, you may know it as good magic. To the degree that religious practitioners are intolerant, violent, or miserable in their lives, you may know it as destructive magic. There is an unseen world of energy in reality, that some of you can partially perceive. If you could perceive it fully and at all times, you would see the there is a very real energetic exchange that occurs when people watch movies and TV, watch advertising, read things on the internet, or go to church. This energetic exchange is not so different from what you might see in a “Harry Potter” story. This is no exaggeration. The more conscious you are of the magical nature of your reality, the more you will begin to pay attention to the way you feel energetically around different people, places, and when you take in information and stories on TV or the internet. You may become more sensitive to the spell-like aspects of reality, in a healthy way. And you will become more conscious about the spells you are putting out into the world, through your words and creations. It is good for you to know how powerful you really are, so that you may use your power to create good.